We offer university level classes at fringe festivals, and help university shows perform at fringe festivals. We currently work with the Edinburgh Fringe and the Philly Fringe, but have connections and contacts with fringes all over the world. Have you ever wanted to experience the Edinburgh Festival Fringe? We can help! 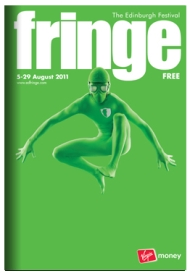 Fringe University is your one stop resource for the Edinburgh Fringe! With our almost 20 years combined experience we can help you navigate with ease. Founded by professors and management professionals with knowledge of producing and performing, we want to provide you with the opportunity to see the Edinburgh Fringe. Not quite ready to take on the Edinburgh Fringe? Or are you a U.K. University that wants a study abroad experience? Try the Philly Fringe! As one of the larger fringes in the United States, the Philly Fringe is a great way to experience a fringe without as much cost, and there are many other fringes that might work for you. Contact us to learn more. Thank you for visiting. Please feel free to contact us with any questions or concerns!